We have winners! Including Diamond Jacks Super 17 third baseman, Felix Diaz, Jr. who gave us the honor of drawing our 10 winners from more than 600 HiCast users who shared their feedback with us. We met Felix at Diamond Nation and soon after spotted one of his homerun highlights shared by Diamond Nation in their Instagram feed last summer. You can catch him and all the Diamond Jacks in our HiCast Sports Network! What does he love most about the game? "Being able to compete in the box against different pitchers." Email announcements to our 10 winners are headed your way today! Each winner receives a FREE 1-Year Family Pass (a $180 value) to our HiCast Sports Network to follow and share the Moments That Matter™ all year long. We're grateful to have you on our team! We're proud to announce Ballparks of America has joined the HiCast Sports Network, a game-changing, subscription-based social broadcast company which allows youth athletes, their coaches, families and friends to view sporting events at top venues across the nation anywhere, anytime, on any device. “We are proud to partner with HiCast -- the industry leader in providing parents, grandparents and fans back home live stream coverage of big games at Ballparks of America,” said Ballparks of America Chief Executive Officer Hamilton Chang. 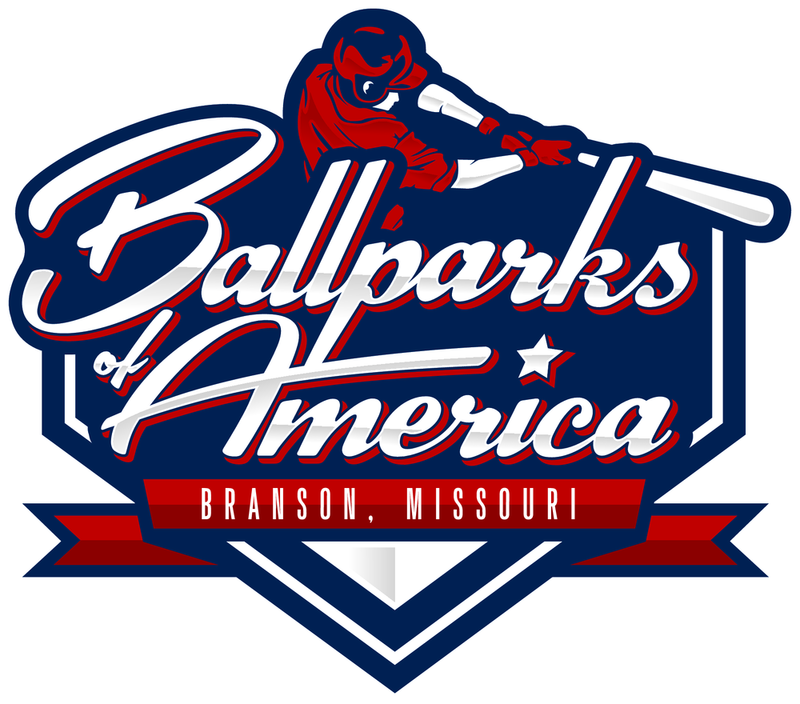 Ballparks of America takes the travel ball "stay and play" national experience to new levels as teams and their families enjoy a memorable week-long tournament experience, enjoying over 250 family-friendly attractions, amusement & water parks, live shows, shopping, and dining. HiCast will cover more than 20 tournaments that will bring players from around the world together on new artificial turf fields, each 2/3 scale replicas of five iconic ballparks from Chicago, St. Louis, Boston, Detroit, and New York. Players and their families stay together in Major League-style suites during all summer events. Comfortable stadium seats are located at every field along with concessions and retail, all centered around America’s favorite past-time. “We’re thrilled that Ballparks of America is now part of the HiCast Sports Network. We’ve appreciated HiCast’s complete coverage at Baseball Heaven (Yaphank, NY) as a valuable add-on to our televised coverage for select games during our National Youth Baseball Championship finals, but it’s really exciting to see that important qualifier tournaments will now have live and on-demand coverage and we’ll be able to share game highlights with our social media followers,” said Nathan Clinkenbeard, Communications Manager, National Youth Baseball Championships. HiCast Sports Network operates with a robust network of partners (venues) and promoters (sporting leagues and event organizers) with which they cultivate win-win relationships. Currently, the HiCast Sports Network covers hundreds of thousands of youth athletes playing on more than 100 baseball and softball fields at premier venues in Delaware, Georgia, Louisiana, New Jersey, New York, South Carolina and Texas. Your FREE 1-Year Family Pass is within reach! All you have to do is tell us what you think about your HiCast Sports Network experience in just five minutes or less. Easy huh? Take our quick survey and we'll enter you in a drawing to win 1 of 10 FREE 1-Year Family Pass subscriptions to watch your games and Moments That Matter™. Your feedback will help guide our plans and app enhancements this year! Tyger River Park sits on 140+ acres in Spartanburg, SC and attracts nearly 2,000 teams each year. This beautiful 12-field venue serves as home base for local youth softball and baseball players, and a comfortable tournament destination for USA Softball of South Carolina and other leagues. In 2018 they'll host the USA Fast Pitch Girls' Class A 12U National Championship. Meet Trey Glover, Park Operations Manager, and Chad Green, USA Softball Commissioner for SC, and hear what they value most about being a part of the HiCast Sports Network. Last weekend, the Baseball Youth All-American Games brought 335 youth athletes from 39 states and three neighboring countries (Canada, Puerto Rico and Mexico) together to play ball at Elizabethtown Sports Park in Kentucky. But here's the best part... teammates met for the first time on arrival to the ballpark! The All-American Games gives the best of the best youth baseball players (all nominated) a unique opportunity to team up with fellow athletes across state and country lines to form Baseball Youth teams (United, Eagles, Patriots, Freedom, Stars, and Firecrackers) spanning six different age groups. On the field, you’ll find players identified by their home state or country displayed on the back of their jersey. But beyond the top-notch competition, the All-American Games creates a solid playing field for new friendships to form, uniting diverse players and families. "We have players coming from all over the United States and travel is expensive. Not everyone can attend. Parents and grandparents want to see their player participate in an All-American event like this, even though they can't be there in person. People were thrilled that we were doing that. The quality was fantastic. No issues at all. We were pleasantly surprised and pleased by that. Having HiCast Sports Network involved was very valuable for us and we hope to continue that with other events we put on.” Shared Scott Hacker, founder of Baseball Youth. Scott Hacker (former collegiate and professional player) created Baseball Youth in 2005, starting with the Baseball Youth Magazine. About three years ago, Baseball Youth, began hosting their own youth baseball tournaments, both individual events such as the All-American games and week-long team events with great success, growing their fanbase of followers not only at ballparks but across social media networks, spanning more than 350,000 fans. “The All American Games is a unique experience not only for the players, but for families. It's a rare opportunity to play on a team with kids from across the country and it's a bonding experience for the families. These kids come together to play on a team with kids they've never met, and they leave as best buddies. If you're a top level player from Maryland, you're playing with kids at that same level from California, Texas or even Alaska. The whole experience... from the opening ceremonies held at the University of Louisville Jim Patterson Stadium... to workouts and skills measurables, to games all weekend long... it's just very unique." shares Scott Hacker. "It's one of those memories they will never forget from their youth baseball career." Each player is asked to share their primary and secondary position, and Baseball Youth puts a lot of effort in forming team rosters that mix players from different states, and not only give athletes a chance to showcase their skills, but also stretch them by giving them an opportunity to play different positions. "We try to make it a lot less stressful and more enjoyable than playing on their home-based travel ball team." says Scott Hacker. HiCast Sports Network set up a temporary network installation at Elizabethtown Sports Park to cover the event on the four key championship fields, and live-streamed select games through Baseball Youth's Facebook page 300k+ followers, to play off live tournament excitement. We provided live and on-demand through our HiCast Sports Network mobile app and web viewer, giving players, coaches and fans the ability to save and share their favorite highlights from the game in the HiCast Sports Network and beyond. User highlights from the tournament appeared in Instagram, Facebook and Twitter, receiving thousands of views. How does Baseball Youth feel about players and fans having the ability to save and share tournament highlights from the HiCast Sports Network? Scott Hacker said, ”It's unbelievable. It's great for the parents. It's great for the venue, and our tournament. You'll see us doing a lot of that as we go through the tournament archive and share highlights through our social networks." What would Baseball Youth say to venues considering the HiCast Sports Network? "It's a no-brainer. Everything that we requested was done this past weekend, and it worked perfectly in our mind. For any destination-type of venue... why would you not install the HiCast Sports Network and showcase your ballpark? It just makes perfect sense,” shared Scott Hacker. If you're a tournament director hosting games at venues in our HiCast Sports Network, join our Promoter Program. And if you're hosting tournaments somewhere else, give us a shout and let's team up to cover the venue. If you're a venue owner or general manager, fill out this form to see you qualify for a limited-time, discount on HiCast Sports Network installation. Meet our partners at Baseball Heaven, General Manager Frank Zataglio and Travel Team Director and Coach Steve Hassan, and a few of our HiCast Sports subscribers in Yaphank, NY to hear what they have to say about the HiCast Sports Network. At Baseball Heaven, we're covering games for nearly 3,000 teams each year not only in the northeast region, but across the country. Host to the National Youth Baseball Championship for the second year, this iconic ballpark is second to none. We're proud to cover Baseball Heaven. Learn more about the Triple Crown Sports 2017 US Club Nationals. See the full tourney game schedule and results. Crack of the Bat and Neigh of the Horse? We're always up for a challenge, of course! Today and tomorrow we're covering the H.J. Fox Summer Classics event featuring Hunters and Jumpers live and on-demand at the Georgia International Horse Park. This event is a first trial run of our ability to cover an equestrian event, and we couldn't be more excited by the horses and their fine folks. Covering an equestrian event brings the challenge of a super wide-angle view to cover all of the action. For this event, we've created zoomed views to offer a closer look on three of the rings. For the future, we're working on a solution that will give you the ability to more seamlessly shift between a wide-angle view and supporting zoomed views while you're watching an event, making it possible for you to save and share highlights that cross multiple views. This experience is a solid step for us in that direction. We're also planning to make way for more sports in the app, so when you tag your Moments That Matter™, you can choose from custom tags specific to the sporting event you're watching and organize your venues and highlights by sport. These things take time, but we're excited about what's to come, and sharing a heartfelt welcome to our new equestrian athletes and their families and all of you horse show fans. Salvatore Catanzaro of Woodridge, NJ started playing baseball at age four at the local YMCA in Garfield, NJ. While most kids his age were focused on learning to hit the ball off a tee, Salvatore’s dad Sal was pitching balls to him from the get-go in the backyard or at the local park. “As soon as he was able to stand up and walk, he had a bat in his hand,” shared Sal Catanzaro. By age six, his early skill in the recreational league caught the eye of a Legit Baseball Club coach. They sought him out to join their competitive team of top players throughout Bergen County – a team of eight and nine year-olds. “He was pitching, and he held his own despite the age difference,” said Sal. Salvatore’s been playing for the Legit Baseball Club travel team ever since, competing in tournaments not only in the northeast, but up and down the east coast. Salvatore will often play 5-6 games most weekends throughout the spring and summer months. “It’s a lot of commitment and sometimes it’s tough, but it’s fun,” shares Sal. While many young athletes playing travel baseball tend to focus intensively on the sport year-round to stay competitive, Salvatore builds his confidence and skills with a focus on speed and agility – training four days each week, while playing other sports year round. The next morning, another teammate’s dad used the HiCast Sports mobile app to replay that highlight from the game on-demand. The HiCast Sports Network covers games live and on-demand in partnership with Baseball Heaven and other top ballparks nationwide. The user saved the video highlight from the game, and shared it with Sal via text message so he could watch it. Sal shared the highlight with a friend who shared the highlight on Twitter and within no time, the video went viral – viewed, retweeted, shared, and applauded by millions of fans worldwide throughout social media, fueled by traditional media shares from ESPN, USA Today, Bleacher Report, CBS Sports, NBC Sports, and the Washington Post. The highlight went on to land in the number one spot of Sports Center’s Top Ten Plays of the week. “I was amazed. I felt really proud,” said Salvatore. “We’re all about bringing families together around youth sports and giving our users the power to save and share the moments that matter with the people who matter most. We’re proud to partner with our venues like Baseball Heaven across the country to cover memorable moments like this one by Salvatore.” said Stephanie Calabrese, Chief Brand Officer and Co-founder of the HiCast Sports Network. Salvatore and his team lost their semi-final game that weekend and didn’t qualify for the National Youth Baseball Championship Finals, but you can find Salvatore in a number 7 jersey pitching or playing center field (or over home plate doing the #salvatoresteal) for the Legit Baseball Club on the HiCast Sports Network at Baseball Heaven in Yaphank NY, Diamond Nation in Flemington, NJ and Sports at the Beach in Georgetown, DE. We're proud to partner with East Cobb Baseball Complex where we're covering their nationally-ranked East Cobb Baseball teams and travel ball tournaments lead by Triple Crown Sports, Perfect Game, CABA and Travel Ball Select hosted at this legendary ballpark in Marietta, Georgia. We sure loved documenting a day at East Cobb Baseball Complex. ECB is the legendary, nationally-recognized youth baseball program and facility lead by founder Guerry Baldwin with support from his top-notch staff including Director of Baseball Operations, Jamie Crane. Wishing BIG luck to Caleb Reis, 16-year old athlete for the ECB Astros. Catcher, pitcher and first baseman. Super impressed with this young man who spent time with us yesterday. His high school team, Mt. Bethel Christian Academy, will play in the State Championship game at ECB this Monday night. We can't wait to share the video story with you! And we sure are proud to have ECB among our partners. You asked for it, so we delivered! Now you can watch games live and on-demand, and follow subscriber highlights shared in our HiCast Feed using our Web Viewer on your computer. We've already heard from some grandparents telling us how much they love watching your games when they can't be in the stands. Sharing your Moments that Matter™ with the people who matter most makes us happy! If you're already a HiCast Sports Network subscriber, you can login to our Web Viewer just as you would using our HiCast Sports mobile app. Your one account works across all of our viewing platforms. To save, edit and share your favorite highlights from the game, you'll need our app for that. If you're new to our HiCast Sports Network, join now and try it for free! We've got a 24-hour free pass waiting for you.